It’s beginning to look a lot like Christmas… Well, kind of. Okay, maybe in some rooms. 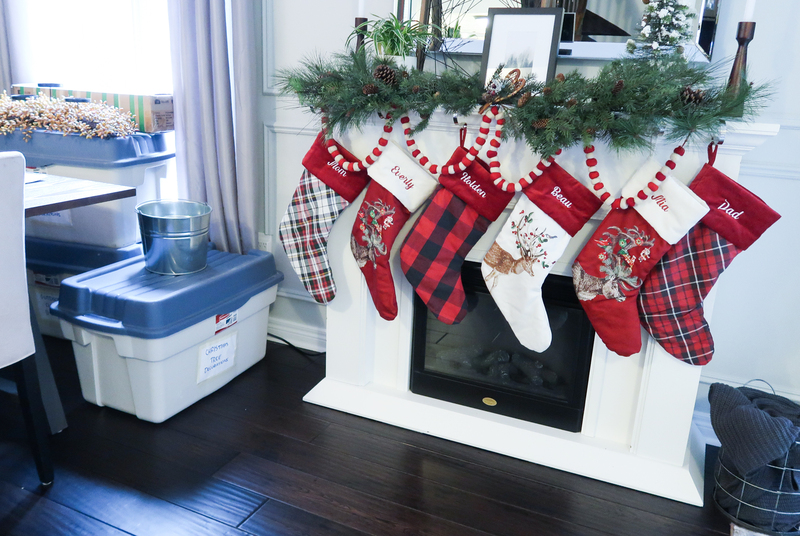 Just don’t look in the rooms that still have fall decor up and random bins hanging around. Over of the past three years, Mike and I debated back and forth if we should move. We wanted to settle into our forever home, (which I consider is at least ten years). We almost moved twice, but last minute something didn’t feel right. 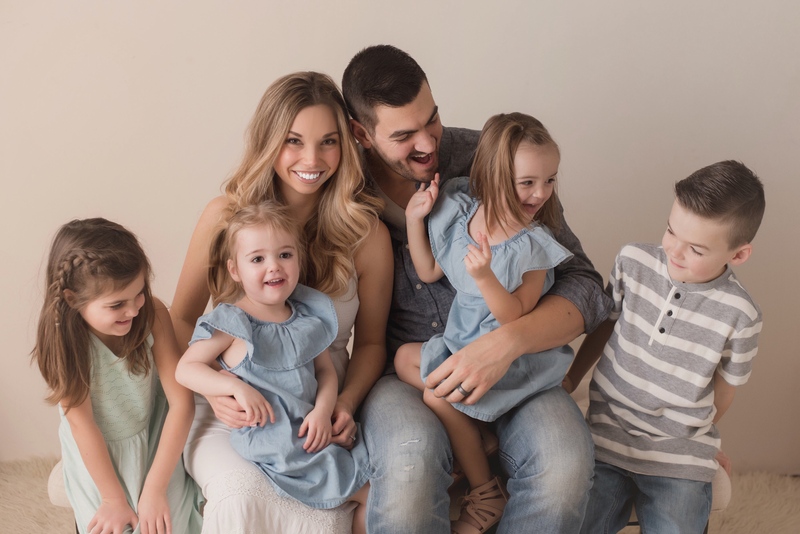 As the years passed, our kids settled into their school, we put more and more roots into our town, and as we watched the housing prices sky rocket in Southern Ontario, we started to appreciate our big, suburban home with a decent sized yard. We also came to terms with the fact that we may not be the people who could keep up with acres of land, (which we were considering), and what we have was perfect for our family. So, we made the decision to take our home, which is a cookie-cutter, builder home and completely customize it to become our dream home. To do this we are flipping some rooms around, letting our imaginations run wild and getting really creative with typical spaces. We love home, and would describe ourselves as homebodies, so it makes sense to invest in the place where we spend 99% of our time. 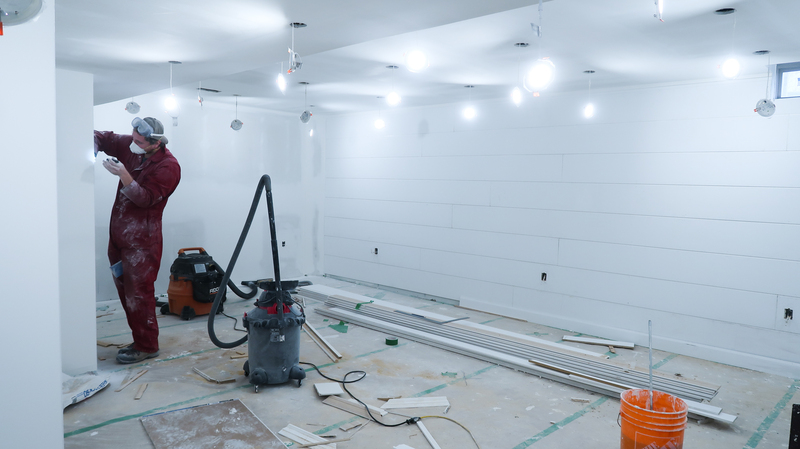 First on our dream home to-do list… we are finishing our basement. I cannot wait to share this project with you, which adds another third of space to our home. You guys. 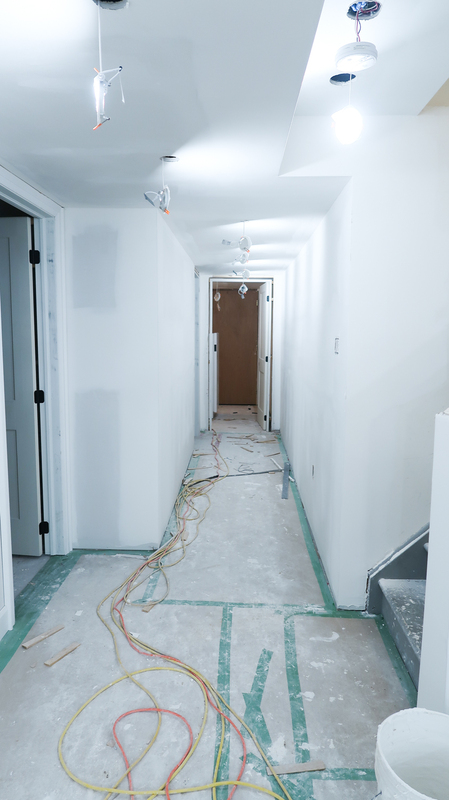 We have been in the midst of our basement renovation since June and it has been tough. Let me add a little disclaimer here. Disclaimer: I get that people with real problems would love to trade and live through a renovation. In fact, our family has had our own stressful moments lately. Don’t worry, we are okay. Just life, which no one is immune to. But adding a layer of renovation to life with four kids has been hard. Between most of our kids’ toys being held hostage in our basement storage rooms, the rest of our house being turned upside-down, storing random stuff in each room and how much of Mike and my time it is taking just to keep things moving… it’s a lot. Finally yesterday we fired our unreliable contractor and our wonderful brother-in-law, (well, technically my sister’s longtime boyfriend, but he’s like my brother), has stepped in to take our renovation across the finish line. The end is in sight. It will be so worth it. That’s what I tell myself everyday, (as I wipe a layer of drywall dust from my desk). 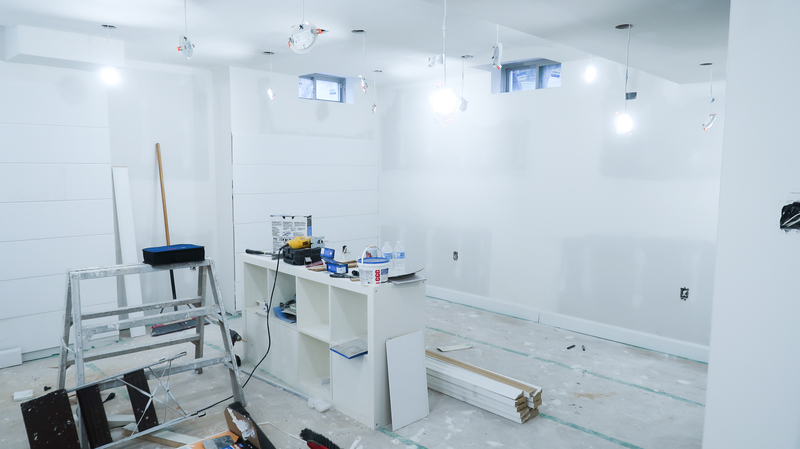 This new space is going to be a game-changer for our family. Once we have this extra playroom/home theatre for our kids, I think the rest of our projects will be a little easier to live through. I cannot wait to continue sharing our journey as we transform our cookie-cutter suburban home into exactly what we want for our family. P.S. Wish me luck that we can find our elf-on-the-shelf tonight!